You probably have a go-to setting for your toaster, and anything lighter or darker can have a deep and lasting impact on the quality of your breakfast. You probably haven’t given much thought to how appliance manufacturers make sure that toasters toast at the proper level. This guide—developed by AHAM and still used by appliance manufacturers as part of AHAM’s T-1 performance standard for toasters—shows just how toasted your toast should be, depending on where you set your toaster. It’s how manufacturers make sure your toast will turn out looking like “5” if you set the toaster to that level. We bet you also didn’t realize that how you take your toast is a window into your personality. 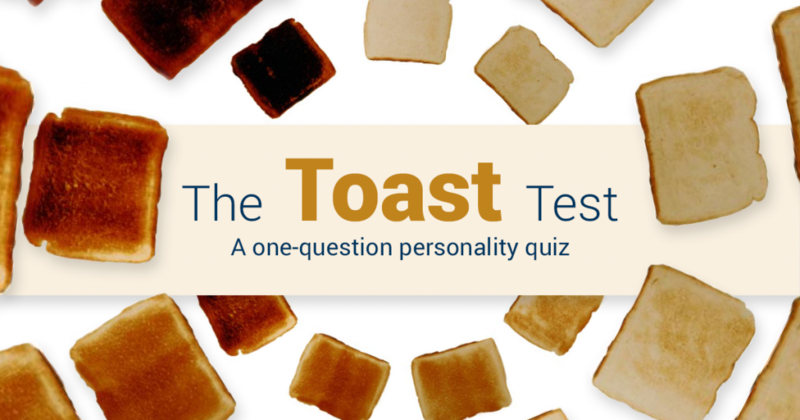 Take our one-question personality quiz to find out what your preferred level of toast says about you. Of course, there’s no science behind these traits. 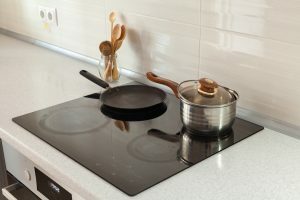 But there’s plenty that goes into the development of T-1 and the numerous standards that appliance manufacturers use to develop and design all home appliances so they’re safe, efficient and functional. Now, back to the most important question you will answer today: How do you like your toast? Allergies tend to grab our attention when the seasons change and symptoms rear their ugly heads. In the fall, tree pollen tends to get the blame for our respiratory misery. Other common allergens like dust mites can cause trouble all year long. Regardless of whether your allergy symptoms are seasonal, regular and proper vacuuming should be part of your allergy prevention strategy. We have one piece of advice allergy sufferers might love: If possible, somebody who doesn’t have allergies should do the vacuuming. But these tips will help cut down on the amount of allergens in your home no matter who is behind the vacuum. Use an effective filter: HEPA (high-efficiency particulate air) filters remove more than 99 percent of allergens with particles larger than .3 microns. They can be helpful in removing common allergens like dust mites and pollen. Micro-lined, two-ply vacuum cleaner bags will help prevent those dust particles from blowing back into the air. Vacuum more than just the floor: Vacuum upholstered furniture, mattresses and drapes regularly. All can harbor allergens. Don’t forget about the hard surfaces: Use a stick vacuum to remove pollen and dust mites that might have settled onto hard, non-carpeted surfaces. Other appliances can help, too: Pollen comes out in the wash, and washing your clothes in hot water can remove dust mites. Your dehumidifier, air conditioner and room air cleaner can also help you get the upper hand on both outdoor and indoor allergens. 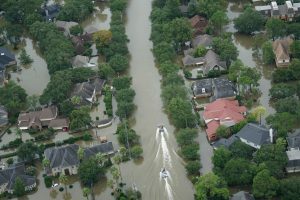 Cleaning up your home after a flood can quickly become overwhelming. In addition to property damage, flooding increases the possibility of mold and mildew and can bring other contaminants into the home. You can speed up the drying process by lowering the humidity with dehumidifiers, fans and room air conditioners. Note: Only use appliances that have not been damaged by flood waters. Appliances may look normal after a flood, but using any that have been immersed in water creates the risk for electric shock and fire. Use a dehumidifier: Dehumidifiers remove excess moisture from the air. Position it in a dry area of the house at least six inches from any wall. Make sure the dehumidifier is protected by a ground-fault circuit interrupter and avoid using extension cords, as spilled water creates a shock hazard. Set the humidistat to extra dry to remove moisture from room furnishings. Open the house: Open windows when weather permits, if there’s lower humidity outside than inside. Turn on the AC: A room air conditioner can help reduce humidity in the home. Avoid using central air conditioning. If systems are contaminated by dirt, silt or other materials, they’ll spread it around your home. Use fans: Fans will help move humid air outside your home. If you’re preparing for a major storm like Hurricane Irma, stocking up on enough food and water should be part of your plan. And it’s also essential to have a plan to keep your food safe to eat during and in the wake of the storm, especially if you lose power. Eating food that hasn’t been stored properly can lead to a number of foodborne illnesses. Those can be serious under normal circumstances, but the potential lack of access to medical care during a severe storm makes avoiding illness even more important. Additionally, many foodborne illnesses can cause vomiting and diarrhea, which can lead to dehydration. The condition can quickly become life threatening if you don’t have access to sufficient water. Use a thermometer: Monitor the temperatures in your refrigerator and freezer. Refrigerators should be kept at between 34 and 40 degrees Fahrenheit, freezers at 0 degrees Fahrenheit. If the temperature in the freezer is 40 degrees Fahrenheit or lower, the food is safe to eat or refreeze. Any perishable foods that have been refrigerated and kept at temperatures above 40 degrees Fahrenheit for more than two hours should be thrown away. Hint: Look for a thermometer that sends the temperature directly to your mobile device or can be monitored remotely. Otherwise, don’t open the door to check the temperature until the power is back on. Make and store ice: If your freezer can make ice, make as much as you can starting days before the storm is set to arrive. You can use the ice to help keep the food cool if you lose power, or use it in a cooler. You may also freeze containers of water. The ice will help keep food in the freezer cold, and you may also drink the water when it melts if your water supply is cut off. Tip: Buy dry or block ice to keep the refrigerator cold for extended periods. Fifty pounds of dry ice keeps an 18-cubic-foot, fully stocked freezer cold for two days, according to FDA. Move food to the freezer: Leftovers, milk, fresh meat and other foods that can be frozen should be moved from the refrigerator to the freezer. They’ll last longer if the power goes out. Keep coolers handy (and the ice to fill them): Food will stay safe in refrigerators for about four hours after a power outage. Move them to ice-filled coolers if the power is off or is expected to be off for longer. Keep refrigerator and freezer doors closed: Only open them when necessary when a power outage is a possibility, even if you haven’t lost power. This will help keep the temperatures in both down. Keep the freezer full: A full freezer will keep food frozen for about 48 hours if it isn’t opened. That time is cut in half, to 24 hours, if the freezer is only half-full. Any food that has come into contact with flood or storm water should be thrown away. This includes containers with screw caps, snap lids, crimped caps,twist caps, flip tops, snap-open, and home canned foods. Throw away any food that has an unusual odor, color or texture. Thawed food that still contains ice crystals may be eaten or refrozen. Throw away any canned foods that are bulging, opened or damaged. Cans that have come into contact with flood or storm water should be washed in a solution of 1 cup bleach and 5 gallons of water. Never use potentially contaminated water to wash dishes, brush your teeth, wash your hands, wash or prepare food or prepare baby formula. Never rely on a food’s smell or taste to determine whether it’s safe to eat. When in doubt, throw it out. Over their more than 130-year history, dishwashers have radically altered the post-meal ritual of “doing the dishes.” Besides taking most of the work out of scrubbing and drying, dishwashers use far less water than it takes to do the work by hand. They also sanitize dishes and can even rinse away food allergens. Loading and unloading the dishwasher is part of the kitchen routine, and many dishwasher users habitually select the same cycles and settings every time they wash the dishes. That’s okay if you generally wash the same number of dishes that require the same level of cleaning. But if your needs change—say you need to wash pots instead of dishes, or you’re cleaning up after a particularly messy meal—taking advantage of different cycles can help save you time, effort and energy. Your dishwasher can most likely handle most food-related messes — they’re tested to deal with the worst. Navigating the seemingly endless options of dishwasher models and features can be daunting, and it helps to have a guide. 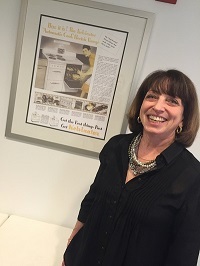 We reached out to Carolyn Forte, Good Housekeeping’s director of home appliances, cleaning products and textiles and a longtime friend of AHAM, who has worked with hundreds of dishwashers over the course of her career. Most dishwashers come with a variety of cycles to allow you to adjust the level of wash depending on what you’re washing, and how much cleaning is needed. Quick: These may range from a half hour to about an hour, Forte says. They’re made to tackle lighter cleaning jobs. On many models, you’ll also find specialized cycles, like anti-bacterial, sani-rinse and others. Pots and pans should go on the bottom, upside down, Forte says. “Make sure they aren’t blocking each other. Bowls can go on the bottom or top. Spoons should be placed alternately up and down in the flatware basket. If you have a grid over the basked, they can all be placed with the handles facing down. “Make sure you use enough detergent, but not more than you need,” Forte says. “If you have hard water, you might need more detergent.” And you might not have realized that your dishwasher needs to be cleaned once in a while, too. Clean the filter regularly to dislodge any food waste. Look for detergent specially made to clean dishwashers, and follow the instructions in your use and care manual.